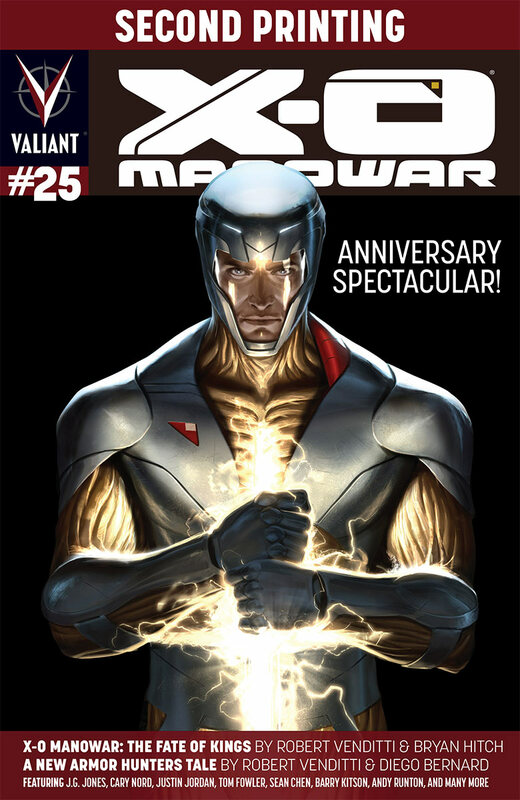 Valiant is proud to announce that two of May’s most high-profile releases – RAI #1 and the oversized X-O MANOWAR #25 anniversary spectacular – have sold out at the distributor level and will soon return to store shelves with all-new printings in June and July! First up, discover a daring new vision of what comics can be in the RAI #1 THIRD PRINTING VARIANT – your latest chance to enter the astonishing world of Japan in the 41st century as realized by superstar creators Matt Kindt and Clayton Crain! Returning to stands on July 9th alongside RAI #3, the red-hot launch book of the all-new VALIANT FIRST initiative continues to burn up the charts after a record-setting second print sell-out. Start reading here to jump on board the new ongoing series that has fans and critics heralding RAI as a comic book milestone for the modern age. Plus, the sold-out, 48-page introduction to June’s much anticipated ARMOR HUNTERS crossover event returns to store shelves on June 25th with the X-O MANOWAR #25 SECOND PRINTING VARIANT! Featuring all-new stories from Robert Venditti, Bryan Hitch, J.G. Jones, Cary Nord and many more, find out everything you need to know about X-O Manowar – from his origin among the stars to his battle in the modern day – just in time for the beginning of ARMOR HUNTERS this June! 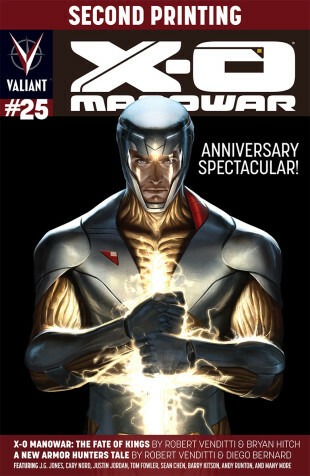 Look for the X-O MANOWAR #25 SECOND PRINTING VARIANT in stores alongside X-O MANOWAR #26, the FIRST ISSUE of an all-new, standalone story arc detailing the untold history of the Armor Hunters – and the forbidden secret that put them on inescapable collision course with the planet Earth. 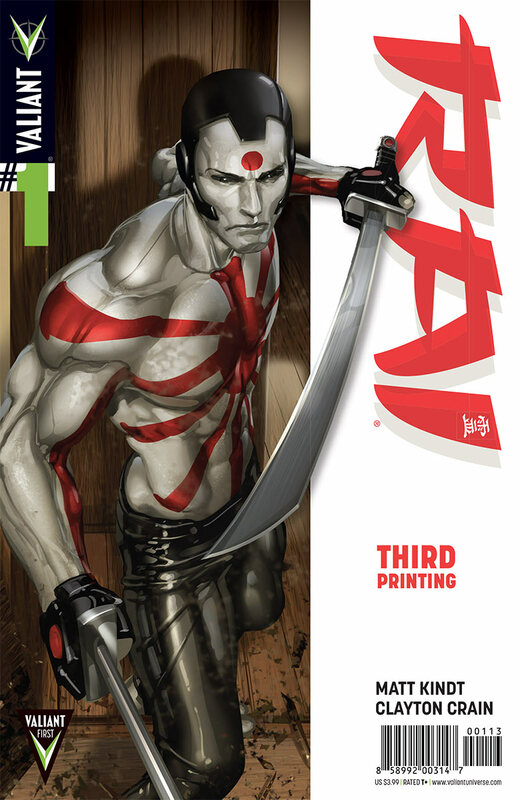 For a complete calendar of Valiant’s upcoming releases, visit Valiant online here.